One of the beauties of Europe is that sometimes, you find yourself on a last minute trip to Barcelona because, why not? After a 2-hour flight, I started my weekend in one of the coolest cities on Earth. A city of art, a city of food, a city of life. While Spain is a beautiful place, the word “beautiful” does not do it justice. There is more than beauty to it. The Spanish life style is one that I have a hard time putting into words. I feel like the Spanish do things there own way, regardless of anything else, but I love that about them. Here’s an example to explain a little bit about what I mean. Friday night, I visited the extravagant, elegant cathedral in Barcelona. Inside, the ceilings and walls are full of details, and the surrounding walls are full of statues and paintings. One thing that is cool about this cathedral is that it is still semi-operational. If you feel so inclined, you can go inside and give your confessions to a priest behind a screen. From the outside, you can see inside the screen on the priest’s side at just the right angle walking by. As I explored the cathedral and walked by one of these confessional booths, I got a glimpse of someone’s confession. Hopefully it wasn’t anything too serious, because the priest was playing on his phone. During someone’s confession. Surely he must have known that the general public could see this, as he was making no effort to hide it. But, like I said, the Spanish do things their own way, regardless of anyone else. You can also see this in their daily schedule. Morning does not begin until around 10am. This delays everything else. Late breakfast, late lunch, stop for a siesta, and then off to a late dinner. The reason for this delay? The Spanish don’t sleep. Atleast, not during the night time. On Saturday night, I returned to my hostel at 1am, expecting to have to sneak inside as not to way up the other 11 people sleeping in the room. To my surprise, I was the only one there. I went to bed, only to be woken up at 6am in the morning. Woken by what you might ask? Woken by my hostel mates, returning from their night out. At 6am. I just don’t know how you do it Spain. This, of course, is a great change from the German lifestyle I’ve been getting used to. Wake up early, be on time for work, be on time for school, be on time for dinner, go to bed early. Apparently, this culture difference is not appreciated by most Germans. When I told my host dad about this, he explained to me that most Germans think of the Spanish as lazy, because it’s hard to ever get ahold of them for business meeting. “It always conflicts with the siesta!”. He loves Spain after visiting, but apparently some Germans do not have such an understanding demeanor. Despite Spain’s immensely different culture, I think most people would agree it is a city of charm, and a city of soccer. 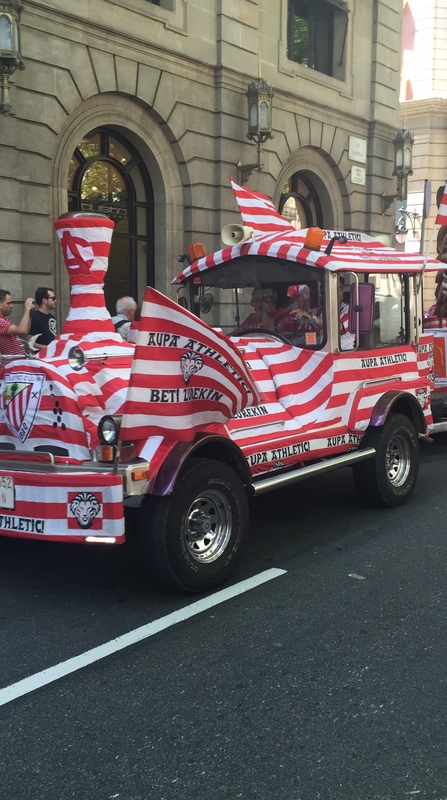 I was lucky enough to be in Spain on a game day, and the whole city is consumed by it. My favorite game to play was “who is really a Barcelona fan and who is tourist who bought a Messi jersey?” The trick is, the locals usually tie flags around their necks as capes. They also cheer literally everywhere they go, so just look out for the confused faces of bangwagoners. But seriously, everywhere they go. On the street, on the subway, in restaurants. If you’re not a soccer fan, you need to stay away from Barcelona, because they will know. I don’t know how, but they will be able to sense it (just watching the World Cup doesn’t count). The majority of clothing in Spain says “Messi”, but the real star of the city is definitely Guadi, a famous Spanish architecture. He is known for his unique and fanciful design. 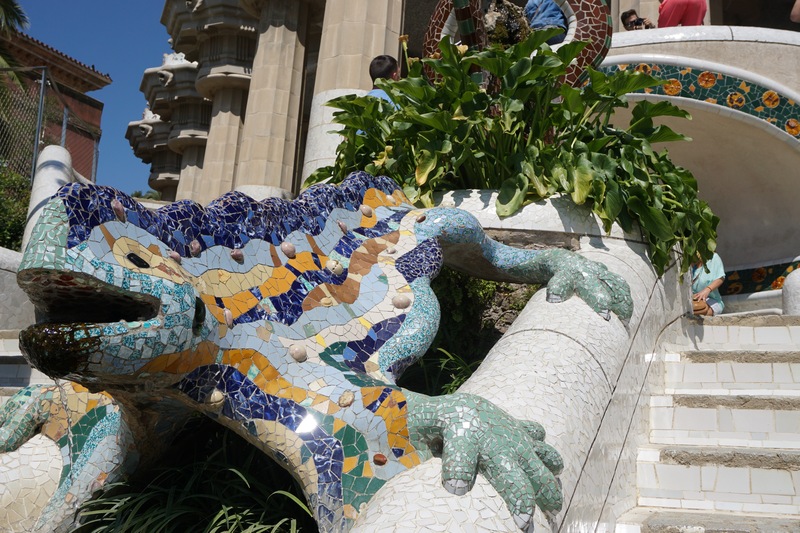 The most popular places to view his work is at Park Guell, Sagrada Familia, La Catedral, Casa Batllo, and La Pedrera. If you’re not into architecture, go anyway, because A) maybe eventually you will evolve into a human being that is capable of appreciating amazing architecture and you’ll be happy you went and B) because they sell great fake bags and sunglasses right outside. The best way to kill time in line! 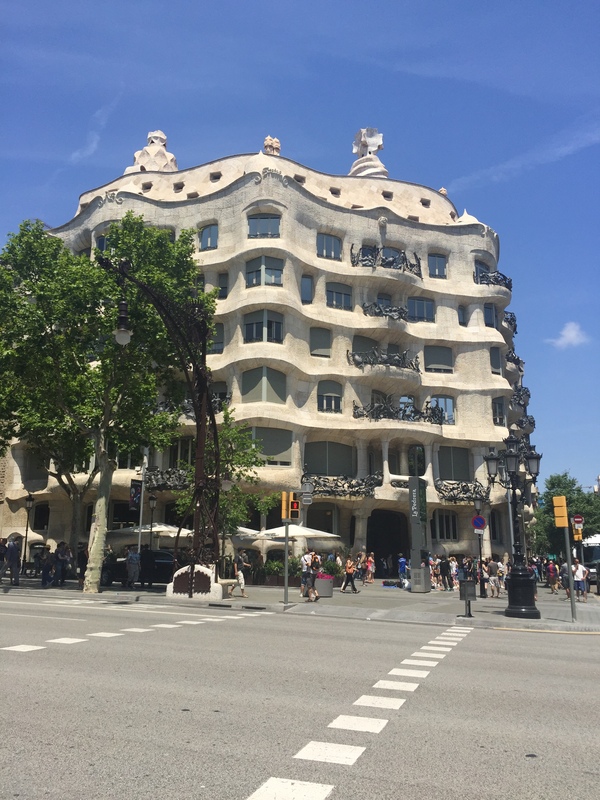 Even though the Gaudi structures were amazing to see in person, I think Barcelona’s hidden gem is its Pablo Picasso museum. This museum is not usually one of the top places tourists visit, but a local told me that it was a must see if I like art even a little bit. Liking art a lot more than a little bit, I stopped by, and it was by far my favorite thing in Barcelona. While Pablo Picasso was known for his amazing works in basically creating Cubism, he wasn’t always a Cubist. This museum in Barcelona shows you his artwork chronologically, so you can really see how his style developed into the style people know him for today. The art rooms are organized by life events, seeing how things like moving to a new city or getting married had an effect on Picasso’s art. One of my favorite parts was seeing the various sketches of “Las Meninas” done by Picasso. The original “Las Meninas” is a famous painting by Diego Velazques, and it was later Cubized (my made-up word for making something Cubist) by Pablo Picasso. The various sketches are shown side by side, displaying the little changes Picasso made every time until he reached his final result. Picasso seemed like a really cool guy, and I think this museum helped me get to know him a little better, and really helped me see the part of himself that he put into his art. The museum also has seasonal exhibits that are just as good as the main Picasso collection. This session- a comparison of the works from Picasso and Dali. Picasso served as an inspiration for Dali, and you can see that when you look at the two artists’ works side by side. The two played off of each other, influencing back and forth. While Picasso never officially joined the Surrealists as Dali did, you can see the Surrealism influence in some of his later works. As a big fan of both Picasso and Dali, I found this museum to be a priceless experience (literally priceless, students get in for free!). So if you ever find yourself in Barcelona, take a quick ride of the L4 subway to Juame 1 stop, and enjoy the life work of a fascinating man. While I saw the big sites and some smaller ones too, a weekend is too short for Barcelona. It’s not a city about sites. To really enjoy all the city has to offer, you have to have time to relax on the beaches, take a siesta, and sleep all day because you were out all night. It’s all about the Spanish lifestyle, which is truly unique to the rest of the world. 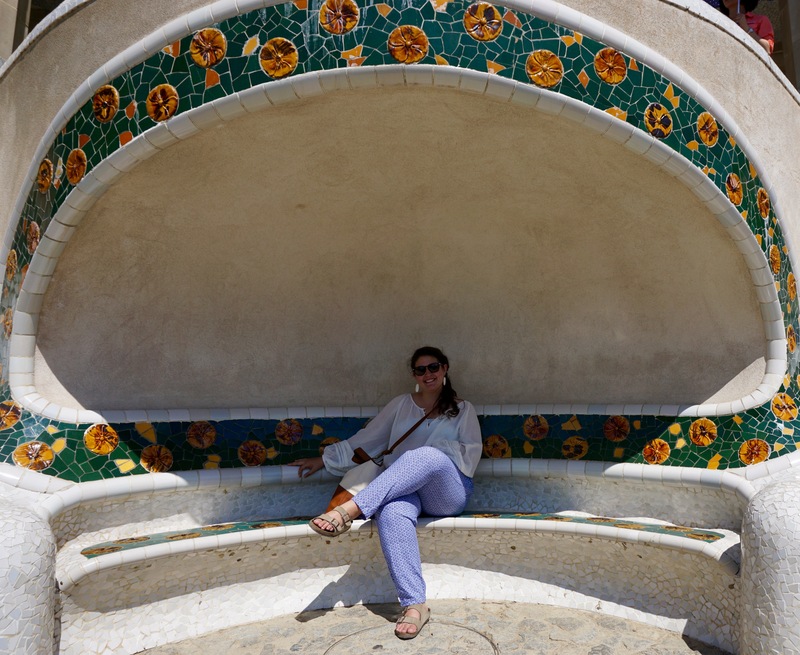 I’ll be back for you, Barcelona. Tagged barcelona, picasso, spain, study abroad. 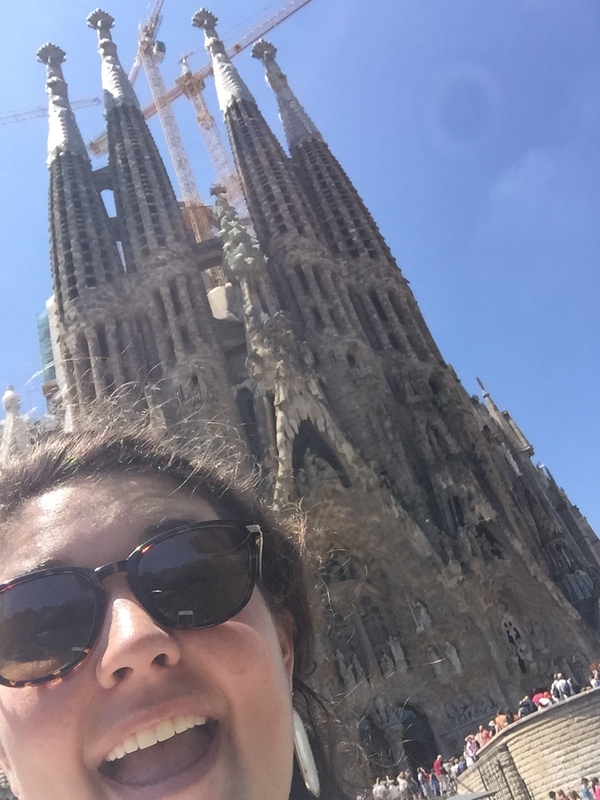 Because of your words, Barcelona is now on my bucket list, Sara…Thanks….